Atlas Technical Equipment & Consulting GmbH has been established 1989 in Wiesbaden, Germany. Atlas Technical Equipment & Consulting GmbH has been established 1989 in Wiesbaden, Germany. The main activities from the beginning were and are always aviation related; spare parts for airports and airlines, consultancy for catering and GSE, GSE-overhaul and renting out and trading of GSE. Since the year 2000 we have concentrates mainly on airline catering highloaders, i.e. overhauling and trading of pre-owned vehicles for offloading and loading of airplanes with food and other inflight equipment. Besides the main product group, which is catering highloaders, we can provide you with all sorts of pre-owned GSE. As a special service we also provides all sorts of pre-owned inflight trolleys and containers. 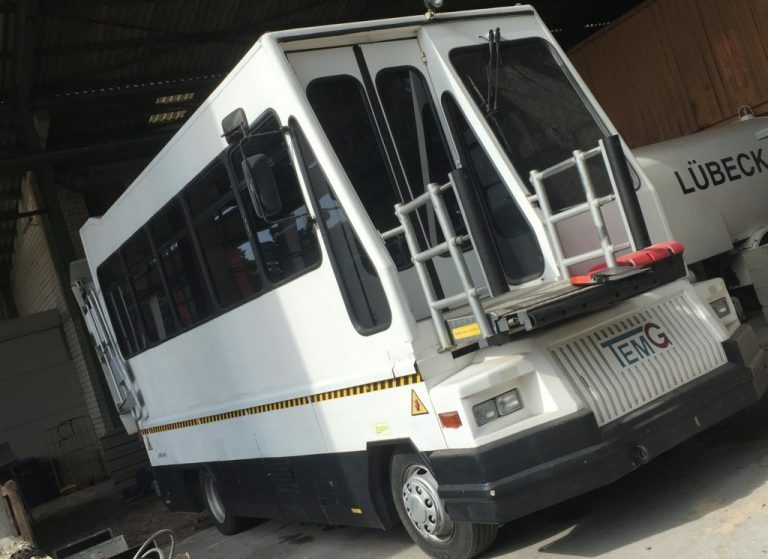 Atlas Technical Equipment and Consulting GmbH sells used catering highloaders, half cab, full cab, mini hi-lifts, medical highlifts, aircraft cleaning trucks and maintenance lifts to catering kitchens and ground handling companies around the world. If you would like to sell your used ambu-lift, please contact us. We will be in touch with you as soon as we review the details and photos about your catering truck. The success of our business can be summed up in two words – satisfied customers. Since the beginning we have built our business on the belief that customer loyalty is only as strong as customer service. If your company is looking at low cost alternatives to buying new, our refurbished vehicles are the perfect opportunity. The Medical Lifts are examined by our workshop and then thoroughly overhauled and newly painted in order to meetall technical and airport safety standards. We are well versed in fulfilling all the arrangements needed, as well as in arranging transport to and from all European seaports. Please feel free and look what we‘ve sold recently. You are looking for a similar second hand catering highloader, don’t hesitate to contact us. There are many reasons why renting your Ambu-Lift from us may be the perfect solution compared to purchasing vehicles for your fleet. You can start catering a new airline without the typical upfront investment; kick off a new contract without the possible strain on your cash flow. Maybe there is an emergency or another sudden situation where time is of the essence and expansion of your service may be temporary. If you have any questions or concerns about Ambu-Lift rentals, please call or email us and we’ll do our best to assist.